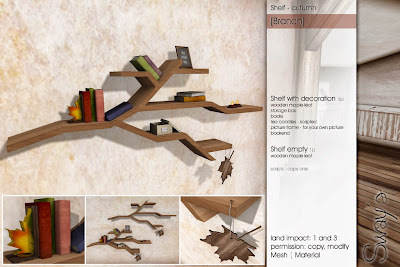 For this weeks Fifty Linden Friday I have a special bookshelf! decoration: storage box, books, bookend, tea candles (scripted), picture frame for your picture. all items are original Mesh.